As the locomotive of the global economy, the United States faces considerable uncertainty about potential conflict in Iraq and the threat that US consumers will snap their pocketbooks shut, stopping economies worldwide in their tracks. But if hostilities in Iraq prove brief and limited,as many observers expect,the US outlook is for a strengthening second half of 2003 and a strong 2004, boosting global growth. The expected further decline in the US dollar this year will improve prospects for some US exporters.This will be an opportunity for US financial institutions to grow their trade finance business. Specialized knowledge of local markets is critical in taking the risk out of overseas transactions. 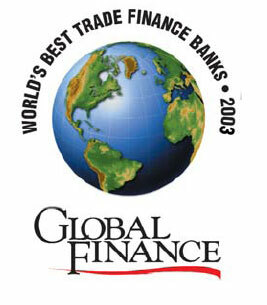 Citigroup’s unparalleled global presence is one factor making it a multiple repeat winner in Global Finance’s third annual survey of The World’s Best Trade Finance Banks.We chose the best global trade finance bank, as well as the best banks in four regions and in 33 countries, and the best online trade finance provider, New York-based TradeCard. Citigroup took top honors in the United States, the Americas and globally. It also won in Argentina, and its Banamex subsidiary was a repeat winner in Mexico. Citigroup provides the best price and risk-profile for global deals by drawing on political and credit risk enhancements offered by export credit agencies, multilateral and bilateral agencies and commercial insurers. We selected the winners with input from industry analysts, corporate executives and technology experts. Criteria included transaction volume, scope of global coverage,customer service,competitive pricing and innovative technologies. We added a new regional category this year: Central and Eastern Europe, in light of the increased activity associated with the pending accession of 10 new members to the European Union in 2004. Bank Austria Creditanstalt got the nod in this region, based on its long-term presence in the CEE and its impressive network throughout the fast-growing area. Dutch trade powerhouse ABN AMRO was the repeat winner in Western Europe. HSBC won again for the Asian region and for Hong Kong. Actrade Financial Technologies, honored by Global Finance as the best online trade finance provider in the transaction settlement and credit area last June, filed for Chapter 11 bankruptcy protection in December 2002. New York-based Actrade’s flagship product is the Electronic Trade Acceptance Draft, or E-TAD, which provides buyers up to 180 days to pay, while suppliers receive payment immediately. The company’s International Merchandise Trade (IMT) division,which applied financial concepts similar to those used in the E-TAD program, ceased operations last July. Actrade said it received anonymous allegations of possible irregularities and improprieties in the IMT business. Amos Aharoni, Actrade’s former chairman and CEO, resigned last August after refusing to cooperate with the company’s audit committee. Aharoni refused to meet with the committee or to provide it with substantive information, the company said in a press release. Actrade said its foreign subsidiaries might have paid out about $31.5 million in funds to third parties under loan agreements provided by Aharoni.The company was unable to contact the counterparties to these purported transactions and said it could not determine the likelihood that the funds would be repaid. Actrade said it was investigating the possible affiliation of Aharoni with certain customers and salespeople of the IMT business. It said it had received allegations relating to the bona fides of nearly all of the transactions financed by the IMT business and of a majority of the domestic Trade Acceptance Draft transactions. 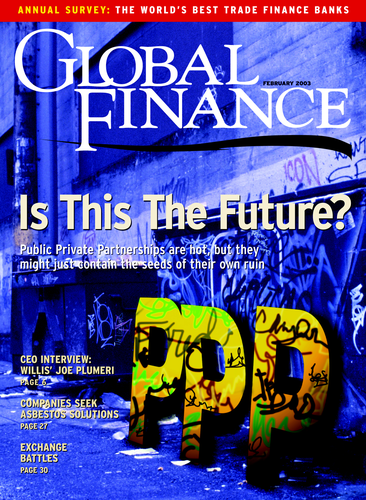 Gordon Platt is a New York-based contributor to Global Finance.